It’s Flu season guys… that’s the time of the year that I lock the door and we never leave the house. That’s at least what I want to do anyway. 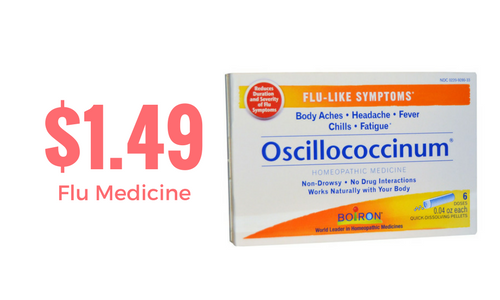 If you must go out and worst case scenario you get sick (with 5 kids this is a guarantee) then check out a deal on Boiron Oscillo Flu Treatment, and get stocked up this week at Target! This stuff and it’s counterparts like Coldcalm are my hidden secret to reducing sickness time and making symptoms much more bearable. If you haven’t tried it, for $1.49 this is a great time to take my word for it and grab it… seriously. You’ll thank me. This is on sale through Saturday 2/4.